The deadline to post your weekly topic Flipnotes will also be shortened by one day this week, so please make sure you post by 9:00 PM on May 29, 2013 (Wednesday) US Pacific Time. The final weekly topic on Flipnote Hatena will also be taking place this week. 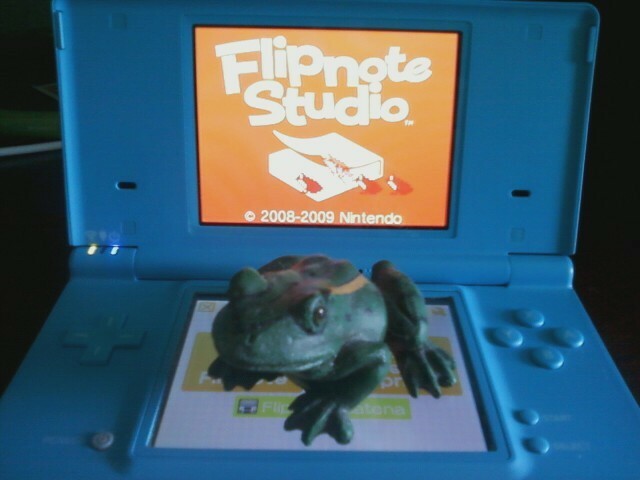 If you haven't yet posted a weekly topic Flipnote please give it a try. We hope that everyone can enjoy Flipnote Hatena as much as possible before it closes, and are looking forward to seeing your Flipnotes! ★ The whole world wishes together in this animation by Foo ☆ (id:RAKUGAKINGU-suzu) from Japan. The best of the last week's topic: "Wish"
There were over 500 Flipnotes posted about last week's topic, and here are some of our favorites from around the world. ★ An old man makes a wish to be young again in this excellent animation by ßC★671 (id:BC671). ★ A young woman in a wheelchair makes a wish in this heart warming animation by Najat.T.S (id:gold69). ★ A shooting star comes to life in this cute animation by Skylight (id:Foxeon). ★ We liked this nice story about a birthday wish by Melyhec (id:hdesh). ★ A young woman gets her wish in this nicely drawn animation by jlmimi (id:jlsmimi). ★ A monster makes a wish in this strange and wonderful animation by Onion (id:Oniongarlic). ★ Be careful what you wish for in this excellent Flipnote by Camil (id:Lamia-28). ★ Make 1,000 paper cranes, like the one in this animation by Wildbeast (id:Wilbeast), and your wishes will come true. ★ A young woman wishes upon a star in this beautiful animation by xiaMCR+fh (id:xialol111). ★ We liked the wishes to make the world a better place in this animation by Alpha～☆ (id:SuperPikachu). ★ A character makes a wish for friendship in this animation by Aowebkinz™ (id:Mangagal). ★ Birthday wishes all come true in this Flipnote by Se!y☆ (id:Sely). ★ Foomin (id:wrbyno10) posted this amazing animation about wishes and hopes for the future. ★ Everyone has their own unique wish in this Flipnote by Tako Death (id:rabbit_thankyou). ★ Hope never dies in this nicely animated Flipnote by ☆Upasama☆ (id:risako-727). ★ A character hopes to find its missing piece in this animation by Johnny 3 (id:a3735963). ★ FENNEC (id:CYBASTER) posted this animated story titled "A Delicate Wish". ★ A little wish is carried to a place where it can bloom in this Flipnote by Arigatou (id:azinohiraki300). This week's topic: "Thank You"
This week we would like you to create Flipnotes about the words "Thank You". Animate stories about what you are thankful for, say thank you to the Flipnote Hatena community, or create an animated collage of the words for thank you in other languages. See where your creativity takes you! Please submit your weekly topic Flipnotes by 9:00 PM on May 29, 2013 (Wednesday) US Pacific Time, and we will present some of our favorites on May 30, 2013 (Thursday). 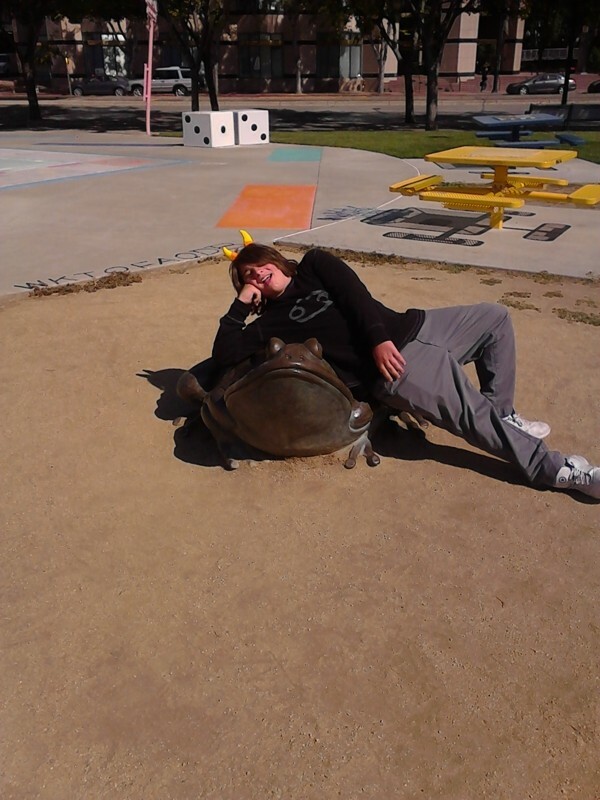 ★ Squishward (id:homestuck) found this frog statue in San Jose California. ★ Brawler610 (id:Brawler610) took this picture as a last good bye for Flipnote Hatena on the Nintendo DSi.